• Yorkiepoo breeders are listed below alphabetically by State / city. 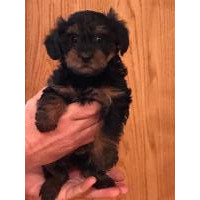 • Click on underlined words to find Yorkiepoo puppies for sale. 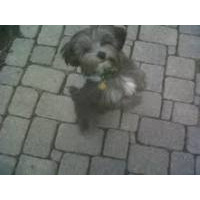 • Please tell the Yorkiepoo breeders with puppies for sale that you found them on BreedersClub.net. 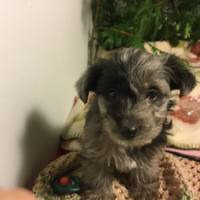 Created from a mix of the Yorkshire Terrier and Toy Poodle breeds, the Yorkiepoo is a small designer breed that is intelligent, playful, self-confident and sweet natured. Generally non-shedding, their coats can be wavy, curly or straight and come in a variety of colors. Yorkiepoos can make good watchdogs and can be easily trained. AKC registered. Happy, healthy, friendly puppies raised with our family! Puppies are treated as part of our family until they become part of yours! Champion Bloodlines, Housebroken using an indoor potty system, Many colors, All age appropriate shots and wormers, Vet checked, Health Guarantee, We ship all over America (weather permitting). Description: The Yorkiepoo gets its heritage from two wonderful breeds. Yorkiepoos combine the bright and perky antics of Toy Poodles with the sweet nature of the Yorkshire Terrier. These dogs are very small in size and make wonderful companions. This breed directory page features Yorkiepoo breeders with puppies and/or adult dogs for sale. Once you purchase your new found friend, you will want to provide it the best in pet health care. Be sure to visit our online discount pet supplies catalog and order NuVet Plus™ to keep your puppy and adult dogs in top condition. 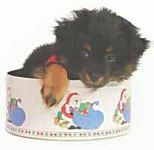 The discount catalog also features collars, leashes, carriers, general pet care products and much more. BreedersClub.net does not pre-screen the Yorkie Poo breeders who advertise their puppies and dogs for sale in the BreedersClub.net breeder directory and in the classified ads. We require all advertisers to agree to our advertising terms. 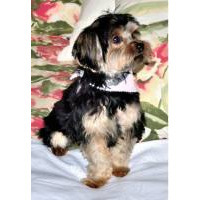 You should ask the Yorkiepoo dog breeders you talk with for references from past buyers and veterinarians.